Thanks to people like you, we are Reaching the Goal! 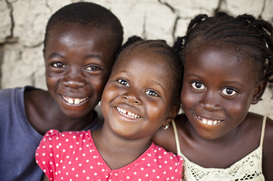 We are proud to say that 95% of every dollar we raise goes directly to helping the children of Africa. We are a 501(c)(3) charity, registered with both the Federal and Massachusetts governments, so your donation is fully tax-exempt. Any size donation goes a long way! To make an online donation, just click the "Donate" button below. You will then be taken to PayPal to complete your donation. You don't need a PayPal account; you can use any credit card on the PayPal site. You will receive an official receipt promptly. A copy of the official registration and financial information may be obtained from the Division of Consumer Services by calling 1-800-HELP-FLA (435-7352) toll-free within the state or by visiting www.FloridaConsumerHelp.com. Registration does not imply endorsement, approval, or recommendation by the state.